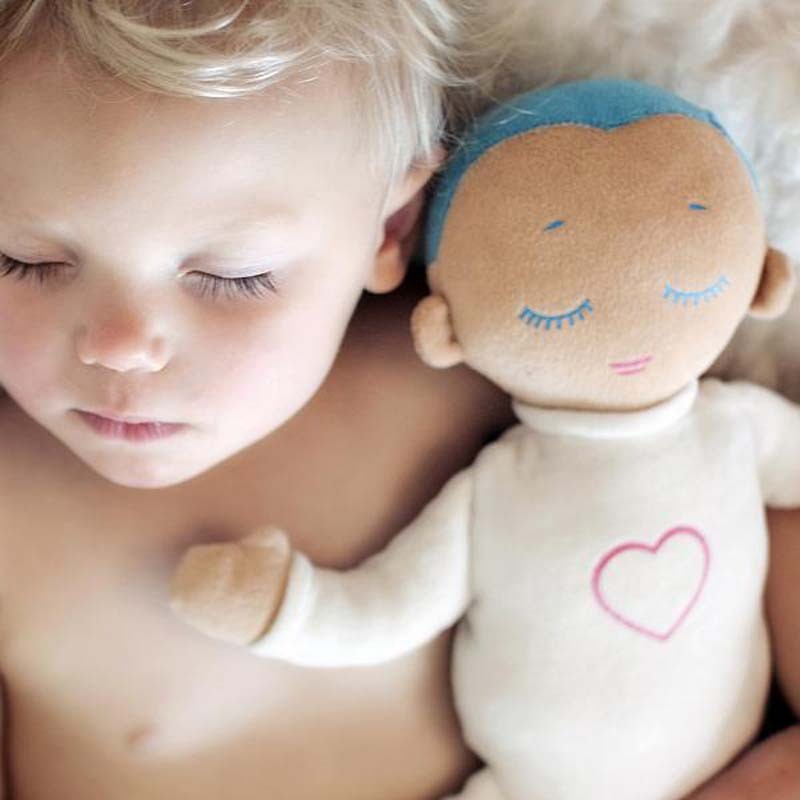 Lulla is a sleep companion for preemies, babies, toddlers and beyond! 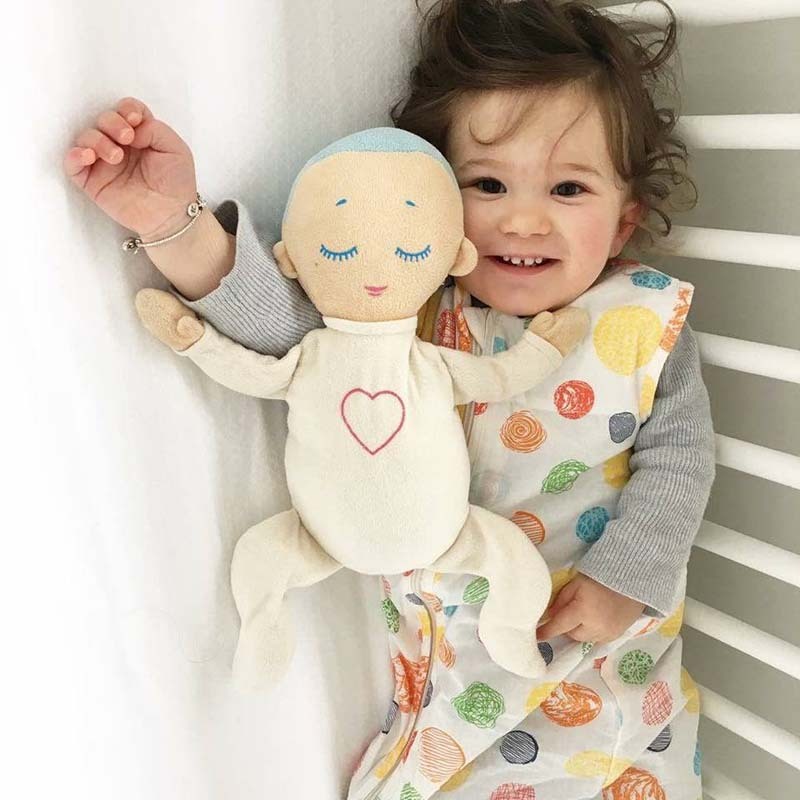 Lulla has velcro straps to attach safely to a cot, until your little one is old enough to cuddle Lulla. Lulla imitates closeness to a caregiver at rest, with its soft feel of natural cotton and soothing sounds of real-life breathing and heartbeat. 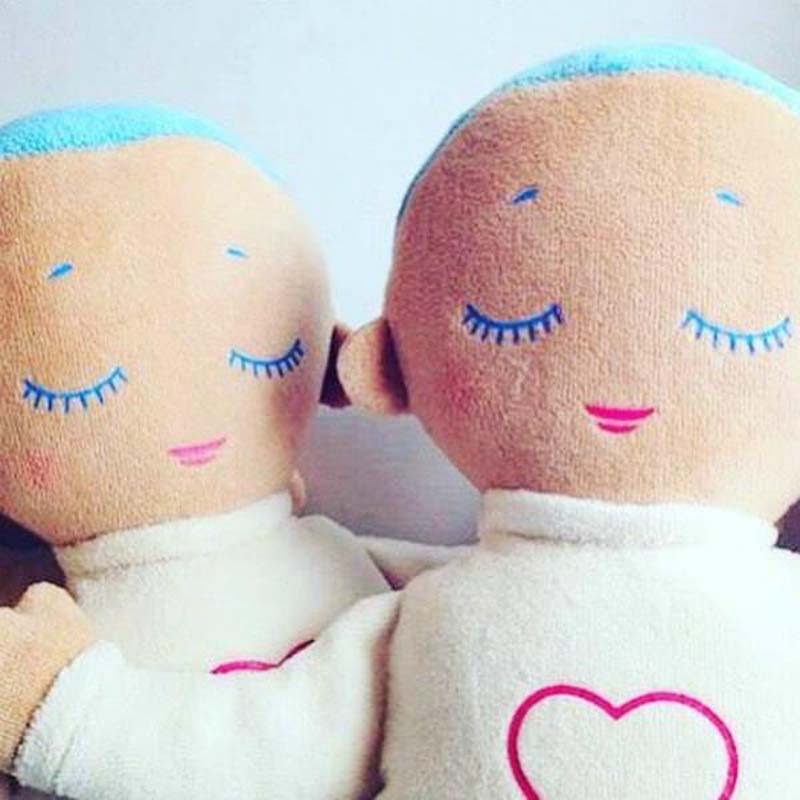 Lulla's unique patent pending design was inspired by research on kangaroo care, the effects of heartbeat and breathing sounds, and the effects that smell, sight and touch have on babies and small children. Lulla plays for 8 hours to provide comfort all night long. Hear - When the chest is pressed, Lulla plays a real-life recording of the breathing and heartbeat of a mother at rest. Her name is Gudrun, she is a dear friend, a mother of four and a Kundalini yoga teacher. 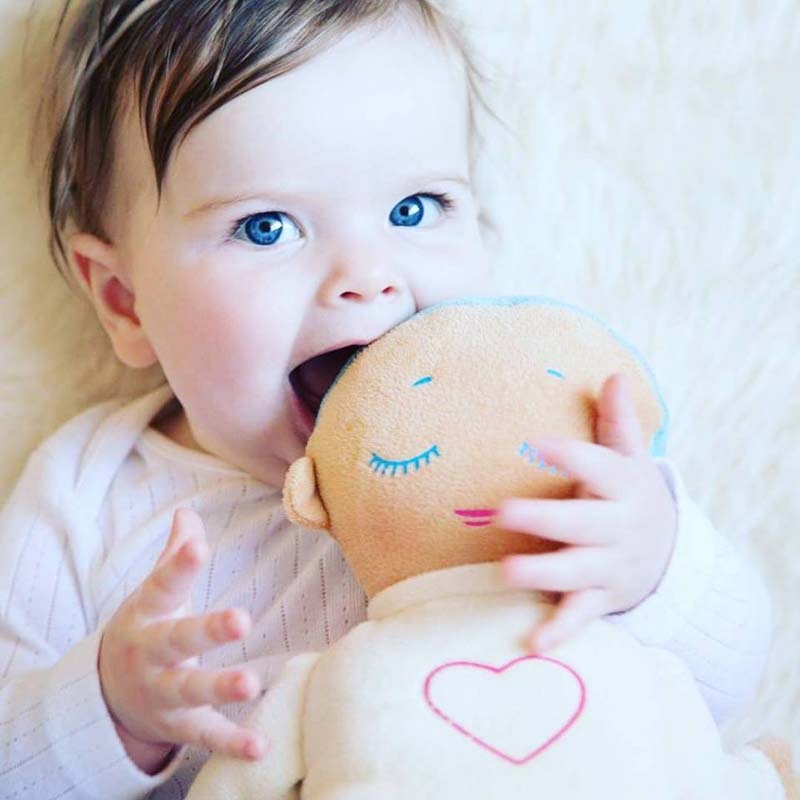 Look - Babies prefer to look at something that resembles a human face. The colors of the doll were chosen for the purpose of making the doll gender and race neutral. Touch - The outer layer is made from soft natural cotton. 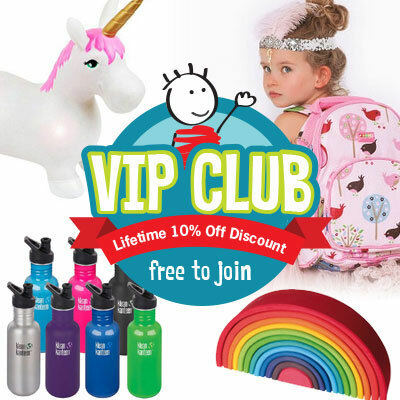 The filling is made from ultra fine microfiber that is hypoallergenic. 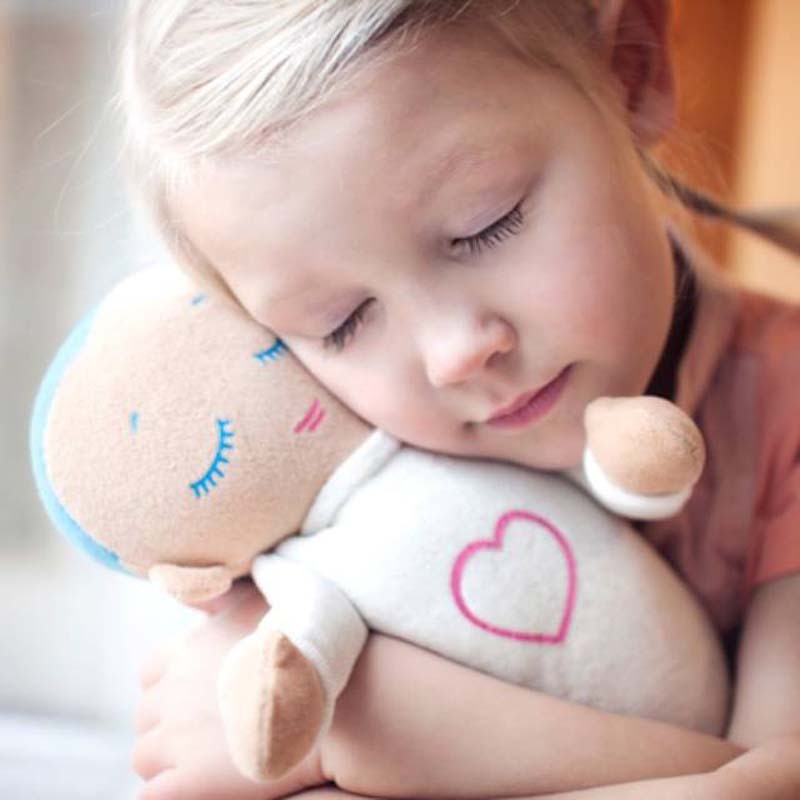 Smell - The fabric of the doll can absorb smell from parents if they first keep it close to their skin before giving it to their child for extra feeling of security. 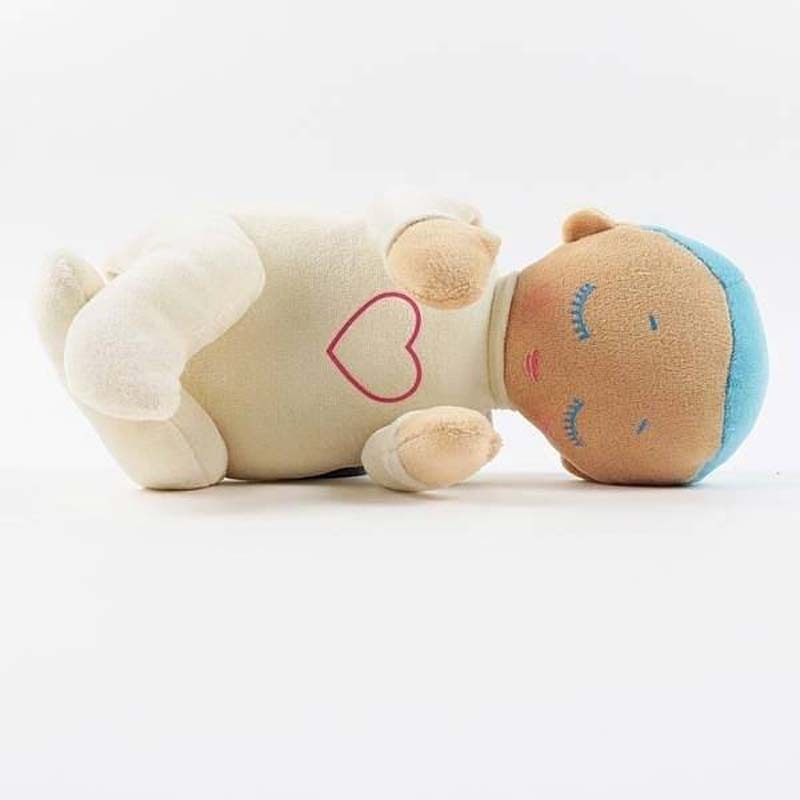 Clean and safe - The doll is machine washable in warm water making it safer for small babies with underdeveloped immune and respiratory systems. 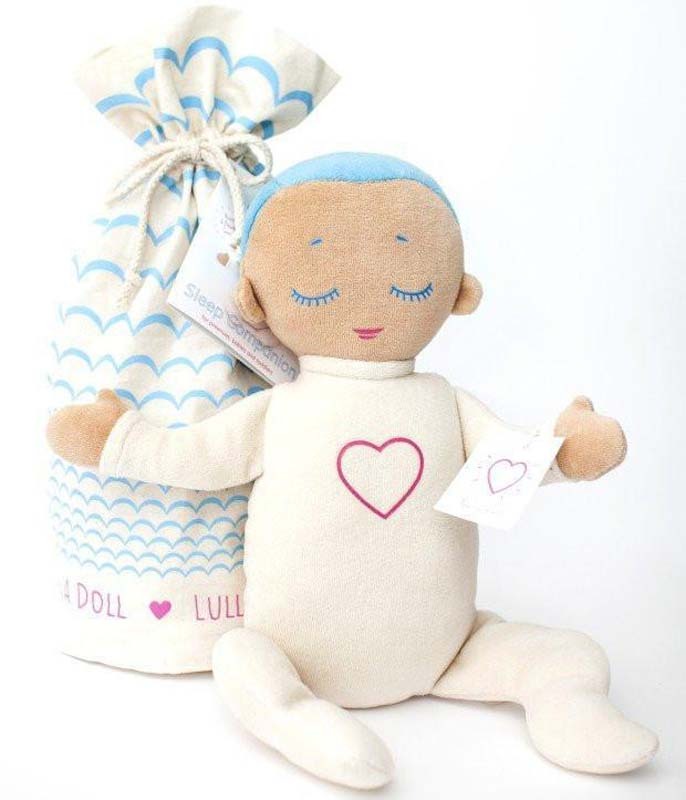 The Lulla Doll comes with batteries for Demo purposes only … please change as soon as possible. 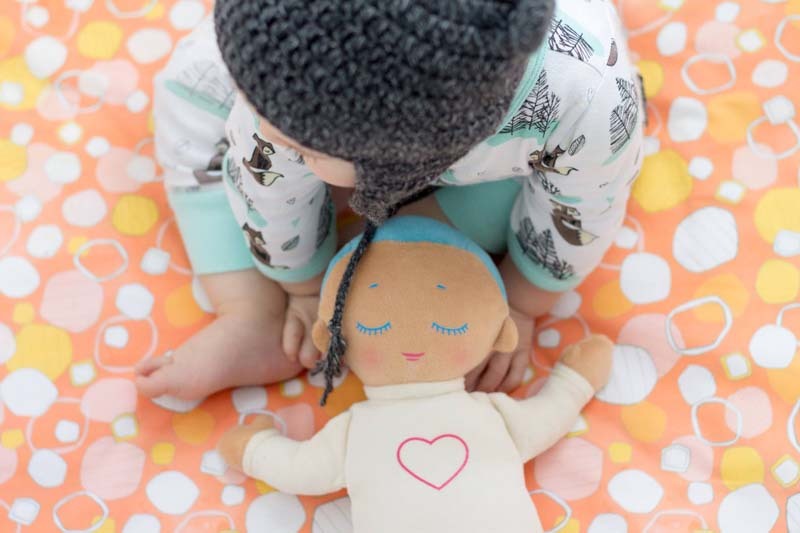 The Lulla doll operates on 2 X AAA batteries and the developers of Lulla highly recommend the use of rechargeable batteries for both environmental and economic reasons. The rechargeable battery life is approx 56 hours (7 days of 8 hours per day). Good quality alkaline batteries such as Duracell or Energiser may play up to 100 hours. Please do not use Lithium batteries with Lulla . By doing so you will void your warranty. Use good quality rechargeable or alkaline batteries.